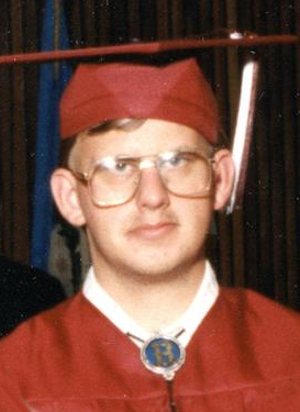 Obituary – Bier, Lester Adam « Perry High School Alumni Association, Inc.
Lester Adam Bier, 38, of Perry, Oklahoma, was the son of Ervin Chris and Pamelia Kaye (Hartzmann) Bier. He was born on August 27, 1973 in St. Croix Falls, Wisconsin and died Monday, September 5, 2011 at St. Mary’s Hospital in Enid. 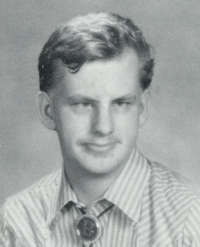 Lester graduated from Perry High School in 1992. He was an employee at McDonalds for 20 years. Lester loved playing video games and collecting dinosaurs. He enjoyed listening to music and watching movies. Funeral services will be 2:00 p.m. Thursday, September 8, 2011 at the Brown-Dugger Funeral Home Chapel. Lester is survived by his parents Ervin and Pamelia Bier of Perry, Oklahoma; one brother Ervin Dan Bier of Ft. Rucker, Alabama. He was preceded in death by his maternal and paternal grandparents, John Leo Bier, his infant brother in December 1976.